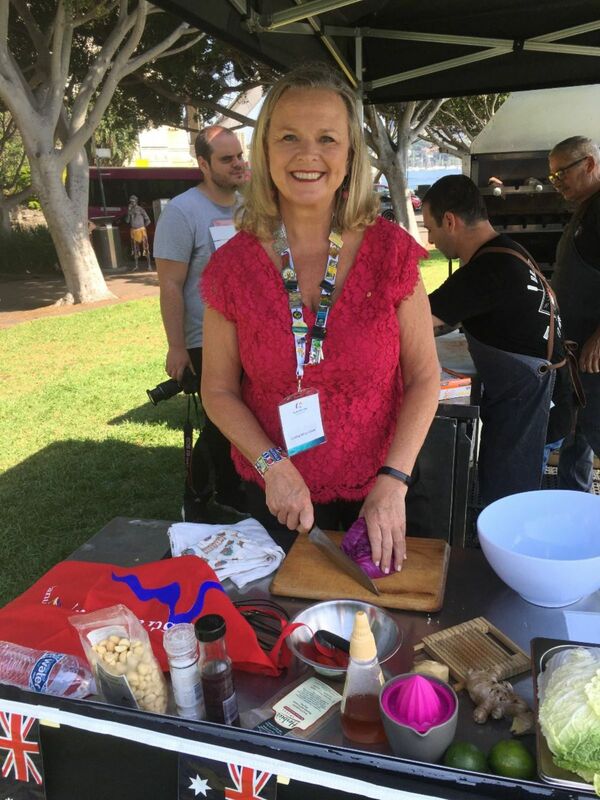 Preparing my Australian coleslaw at the launch of Australia day 2019, Hickson Road Reserve, The Rocks, Sydney. I’m wearing all my Australia Day Ambassador medals on my lanyard and Australia Day bracelet – love it! Well, the year has begun with a bigger bang than the fireworks off Sydney Harbour Bridge on New Year’s Eve. 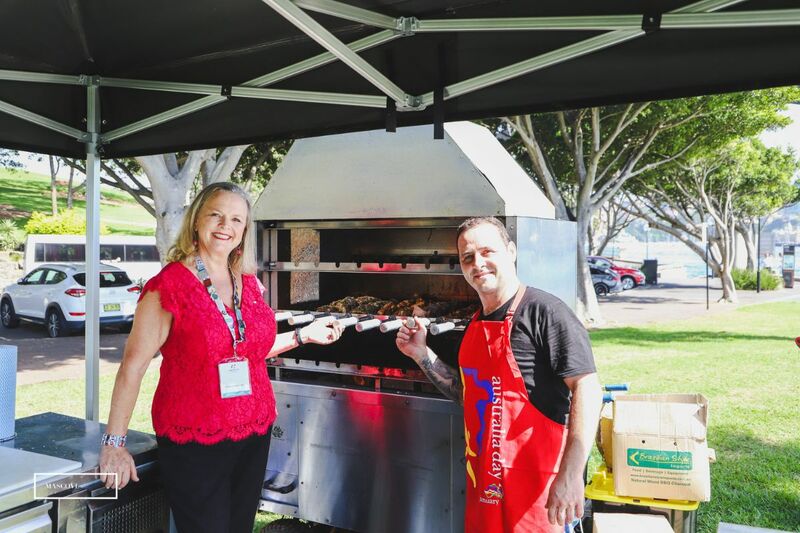 One of the highlights of my year is being an Australia Day Ambassador, with this year being my 17th consecutive. I always ask to go to regional NSW as it is dear to my heart. Therefore I was delighted to be asked to assist with the official launch, right beside Sydney Harbour on Wednesday this week. I was cooking with a delightful Brazilian chef, Diego Lefcadito from Brazilian Flame. 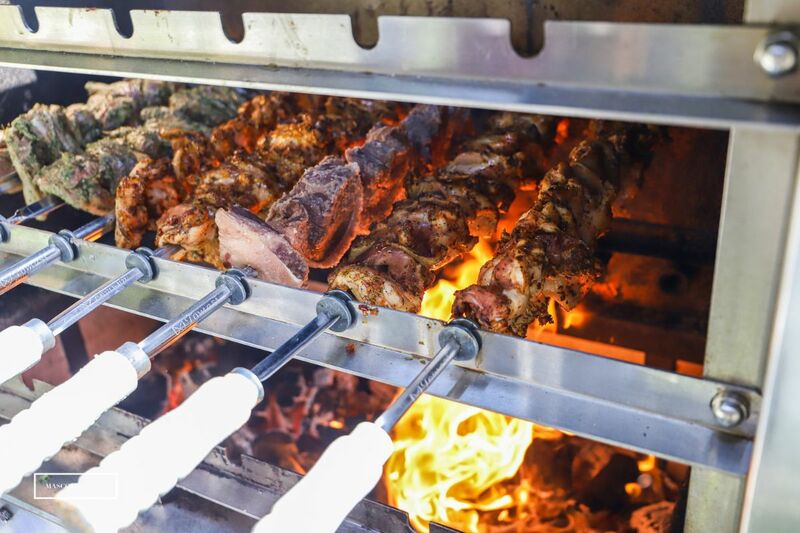 In the spirit of Australia he cooked lamb as well as rump cap (Picanha) and chicken on his charcoal BBQ. He serves slaw with this, so I was there to do my version. thinking about what Australian food really is, I made an Asian dressing (think sesame oil, chilli, lime juice, honey, ginger) but added wattleseed and macadamia nuts to truly nationalise it. That’s what Australian food is about – native ingredients and a fresh way of looking at things. 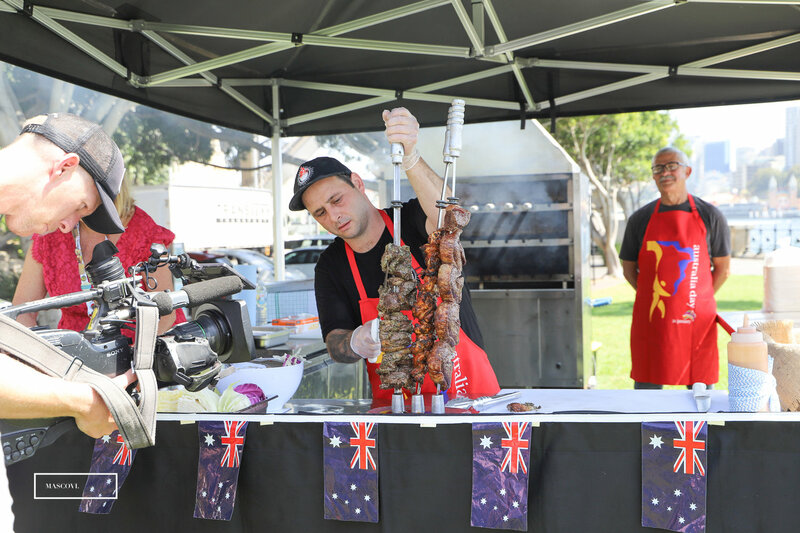 We fed the performers, dignitaries and had fun along the way – which is also what Australia Day is all about. Next week will be an Australia Day update with lots of recipes and information. Vibrant, refreshing Australian grown limes have a unique tangy citrus taste and are top value so I’m using them in place of expensive lemons. Limes are ideal for using in cheesecakes, meringue pies, puddings, sauces and salad dressing. To obtain the maximum amount of juice from a lime, warm the fruit in the microwave for 30 seconds or roll firmly on the kitchen bench then juice. Aussie grape season is in full swing so grab a large juicy bunch or a kilo bag to enjoy as a snack or for a burst of sweet add grapes to salads. 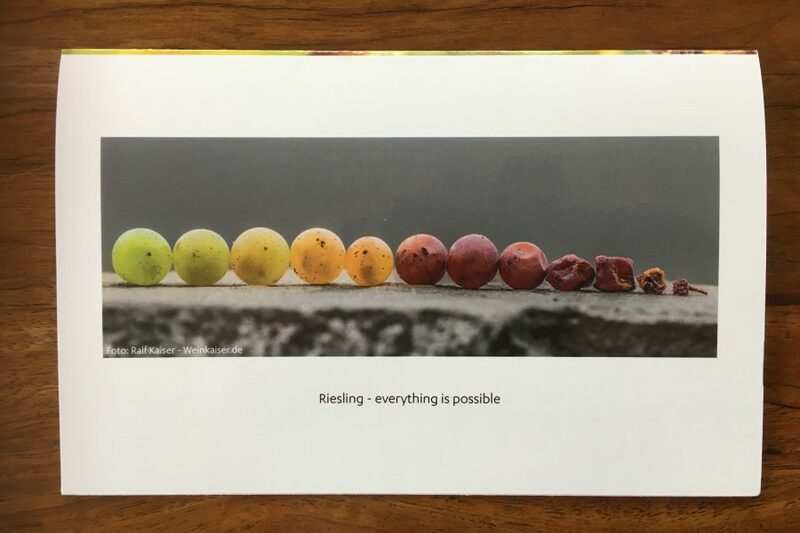 Select from White, red and black seedless varieties. Snap up the last of the sumptuous Tasmanian grown apricots. Irresistible and antioxidant rich blueberries plentiful and retailing at your local greengrocer at competitive prices. Bananas are top value. These Banana & Chocolate Smoothie Pops are a delicious and easy to make homemade paddle pop that will help you stay cool this week. Snap up sweet eating, plump and flavoursome late season cherries. Most cherries are now coming from Tasmanian. They are excellent quality with price depending on variety and size. It is a fabulous time to enjoy melons. Refreshing to eat rockmelons or for something new try the Piel de Sapo melon. This oval shaped melon originated in Spain and has a juicy pale yellowish green, dense flesh and are distinguishable by their extra thick and ridged mottled green and yellow rind. For a sweet summer sensation pick up a bag of new season lychees. They’re easy to peel and are best value at this time of the year. Team lychees with chopped mango, banana and passionfruit pulp and serve with ice cream. 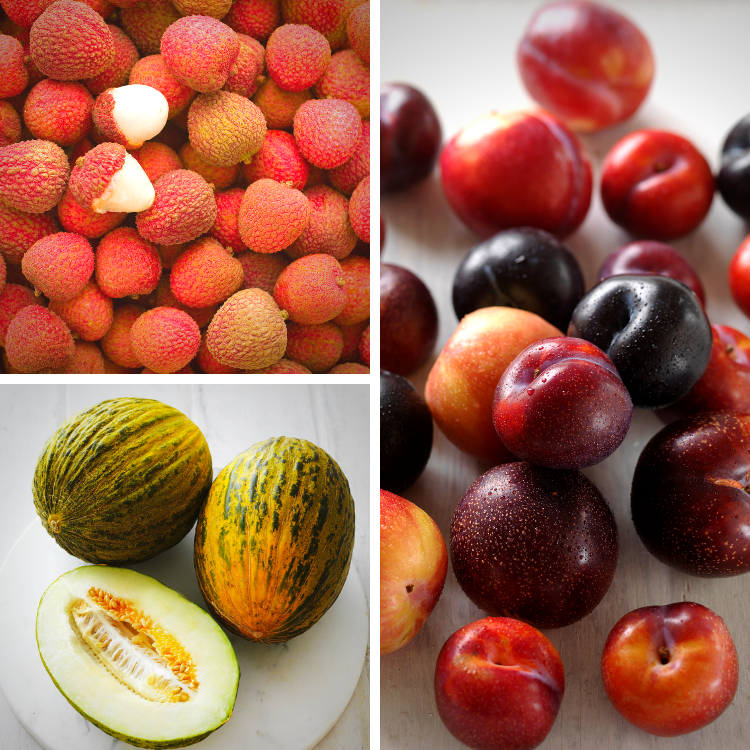 Discover 7 delicious ways to enjoy lychees. Smooth to hold and packed with juicy summer goodness nectarines brighten up your fruit bowl and add a tangy taste to salads and simply desserts. Both yellow and white flesh fruit are plentiful. Golden or red fleshed tangy plums are in season from December to early May. Give plums the ultimate summer treatment, cook them on the barbecue or toss wedges or slices through salads. Kids and adults alike love the refreshing crunch of cucumbers. They are so easy to prepare. Try this no cook crunchy greens and smoked salmon salads, sandwiches and dips like the classic tzatziki. Sliced into thin batons, the Lebanese cucumber makes a terrific dipper. Or they make a great alternative to a crouton for a gluten-free canape base. Lovely with rare roast beef and Dijonnaise. Delicious and nutritious summer salads are vibrant and healthy. Versatile Iceberg lettuce can be cut into chunk wedges for chicken salad, shredded for burger fillings or use the large crisp leaves as cups to fillings like this Asian Cucumber, Prawn & Chilli Noodle Salads. Zucchinis are a breeze to prepare. No need to peel, simply slice, dice or grate. Their mild flavour makes them a hit with the kids. Delicious barbecued, try adding zucchini to skewers like these Honey & Sesame Zucchini, Mushroom & Chicken Skewers. Salad and truss, cherry and grape tomatoes are all in season, plentiful and well-priced. I’m currently testing tomato recipes for Selector magazine, so will advise when they are published. It’s long been a tradition in Italian families to gather once a year to make and bottle fresh tomato sauce. Tomato or Passata Day generally takes place late January to early March. This week the first harvests of plump ripe roma tomatoes, from Victoria in 18 kilo boxes, are ready to cater to this time-honoured tradition. Boxes are retailing at $30. This simple super flavoursome Tomato Sauce recipe can be multiplied 2 or 3 time to make larger quantities. Eggplants are at their best value from late summer to early autumn as Sydney growers harvest quality crops. Select smooth eggplant with firm, satin-like, glossy skin, which feel heavy for their size. Here are 24 eggplant recipes. Versatile snake beans are in season. Sold in bunches, snake beans are about 30cm in length and have a delicate flavour. From late summer to early autumn, locally grown sweetcorn shines for quality and freshness. 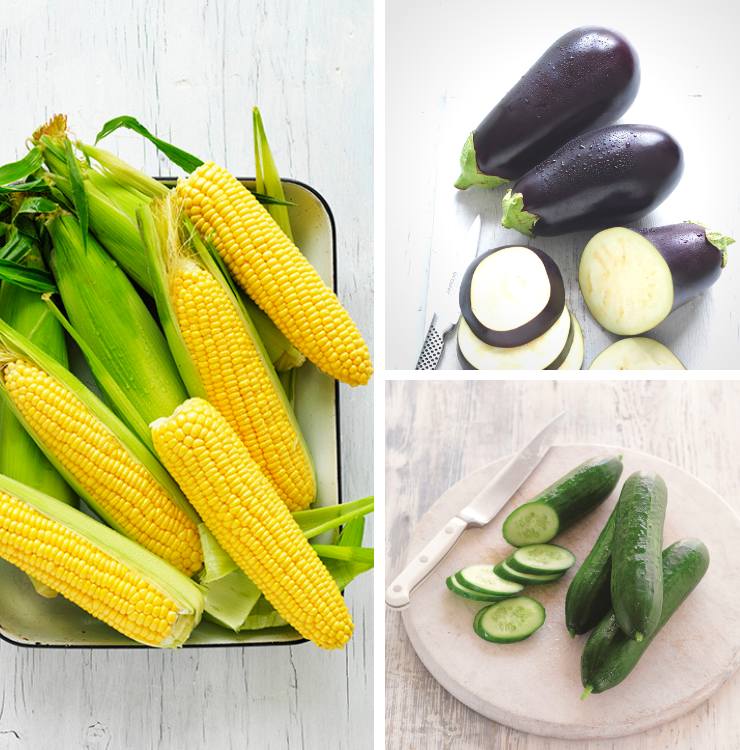 Add corn to salads, salsas, fritters, pasta dishes, meat patties and rices dishes for colour and sweetness. Cucumbers are a good source of vitamin C. One of the many functions of vitamin C is the normal formation of collagen which is important for healthy teeth, gums and skin. 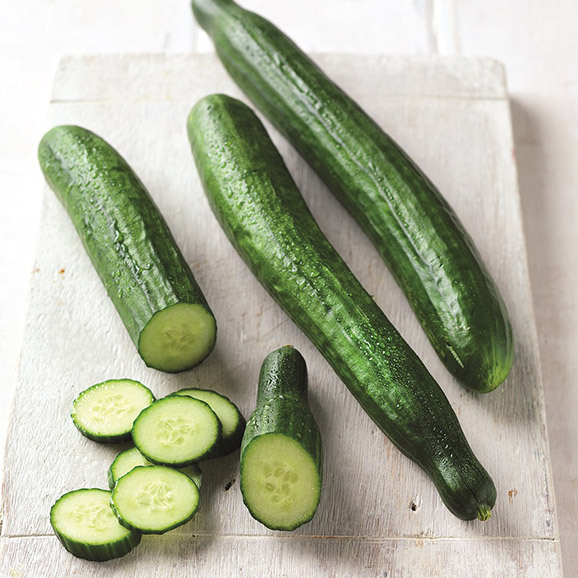 Refreshing and crunchy, this juicy cucumber is so easy to prepare. The fine seeds and thin green skin are edible, but can be removed if preferred. Simply chop or slice, or to make super cool cucumber ribbons, thinly slice telegraph cucumbers lengthways using a vegetable peeler. Store whole cucumbers in an airtight container or plastic bag in the fridge. Just before using wash in cold water and dry with paper towel. A slice is delightful in a gin and tonic. I remember in the 80s making Cucumber Soup with yoghurt – that would be very refreshing in the hot weather we are having. 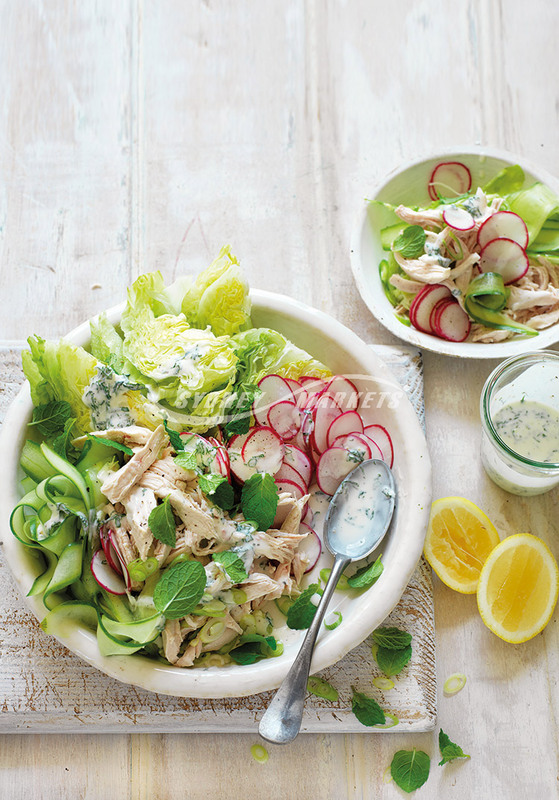 Arrange telegraph cucumber ribbons, sliced iceberg lettuce, thinly sliced radishes and shredded cooked chicken in serving bowls. Combine ½ cup finely chopped mint, ½ cup buttermilk, ¼ cup Greek-style yoghurt and 1 tbs lemon juice in a bowl. Season. Drizzle dressing over salad and serve. Scatter with mint and serve with lemon wedges. Soften gelatine in 2 tablespoons of the wine. In a small saucepan gently heat half of the wine until it starts to simmer, whisk in the sugar and softened gelatine until completely dissolved. Place berries in a large colander (if the berries are very big, halve or quarter them). Wash in cold water, remove any stalks and gently mix together. Carefully arrange the berries in a large watertight, tapered loaf tin (19 x 12 cm x 9 cm deep), don’t forget that the bottom layer will be the top when it is turned out. Try and fit the berries in closely, reducing the gaps as much as possible by using small berries to fill the small spaces. Don’t squash them in and try not to bruise them. When the loaf tin is 85 per cent full pour in the cooled jelly, leaving about 150 ml for later use. Cover with cling film and place a similarly sized loaf tin carefully on top. Weight this down with a couple of cans of soup or whatever and place in the refrigerator until just set, 75 minutes or so. Remove the top tin, weights and cling film. 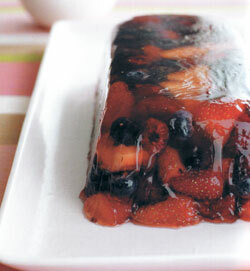 Pour in the remaining jelly liquid (you may need to warm it slightly) and refrigerate overnight. 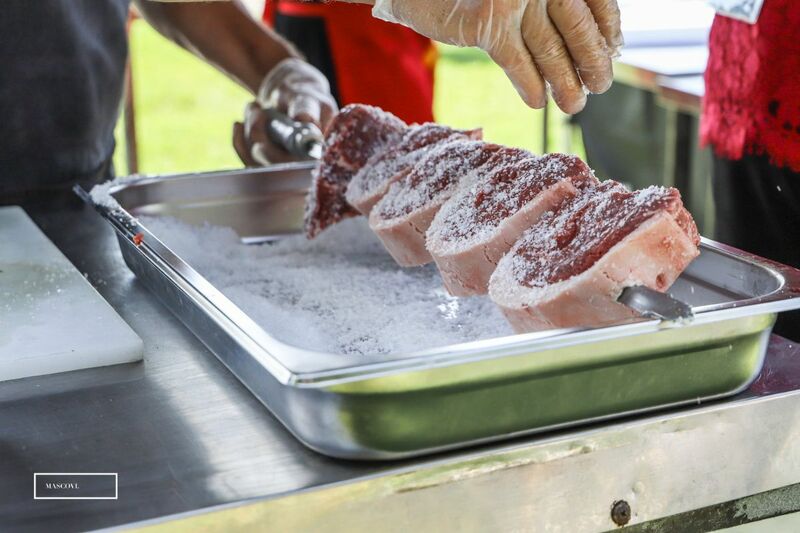 When ready to serve, turn out onto a plate and carefully slice with a very sharp straight–edged knife. Because of the density it should be easy to plate sensational looking slices. 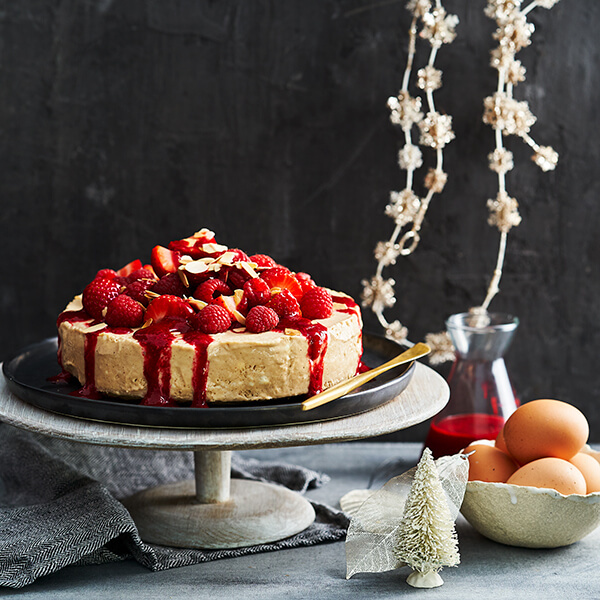 Serve with cream, crème fraîche or yoghurt. Huon Hooke extols the virtues and versatility of riesling. In Vin de réserve explained he explains how reserve wines are used in champagne. Saint Peter in Sydney’s Paddington is t e only Australian restaurant to make the shortlist in the inaugural World Restaurant Awards. This is in the Ethical thinking category, the awards being announced in Paris on 18 Feburary. Read about it and see all the shortlists here. I shared my love of rosé last week, and this week Huon talks about Time to smel the roses. I am again delighted to be the Ambassador for The Majestic Long Lunch on Saturday February 23 from 12 – 4pm It is part of the of the Blue Mountains Roaring 20s and All That Jazz Festival. It follows the Charleston for Charity Challenge which begins 11am, led by the Swing Katz and Music in the Mountains on the grounds of the Hydro Majestic. All proceeds to the Rural Fire Service. 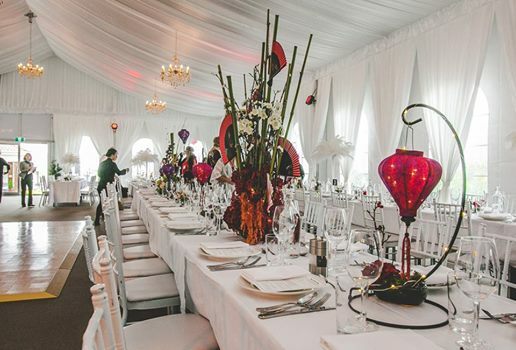 Lunch will be a shared feast of regional fare by Lushious Gourmet Catering; Hydro Majestic; The Carrington Cellars & Deli and Josophan’s Fine Chocolates. Tickets: $95 per person includes a complimentary cocktail on arrival. In the first weekend of February at Electra House on King William St, CBD & Vines is a two-day celebration of food, wine, beer and spirits. There will be over 80 wines on offer, with South Australian producers such as Coriole and Unico Zelo as well as interstate and international labels. Beer lovers will enjoy ‘Tin Can Alley’, with products from Mismatch Brewing Co, Tiny Rebel and Little Band Brewing. There will also be cider from The Hills Cider Company. There’ll also be a small selection of gin and whiskey available in the lounge bar. Grazing plates of cheese and cured meats can be purchased, as well as more substantial offerings from Electra House’s head chef Josh Kim. Cost: AUD $40 for one day or AUD $70 for the weekend, including a stemless Riedel glass. If you’re quick, there are some Early bird tickets at AUD $30 each. Once at the event, wine and spirits can be purchased in half and full sizes for AUD $2.50 and $5.00, with the premium products AUD $5.00 and $10.00. Tickets: Click here for tickets and more event info. There are some soft, inexpensive apricots around which are perfect for making apricot jam, my favourite as a little girl. 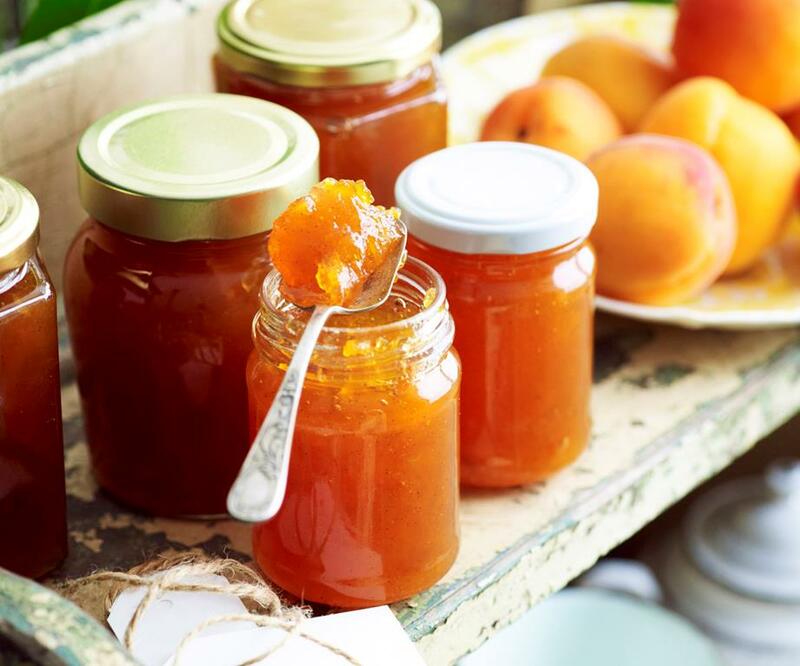 Here Women’s Weekly Food explain How to make fresh apricot jam. Pure Wow shares Six different types of tomatoes and how to use them. Martha Stewart shows an amazing way to make scrambled eggs – using the frother of a cappuccino machine here.